When it’s hot, it’s deliciously easy to make flavorful refreshing drinks that are a wonderful alternative to store bought sodas. Ann has chosen some of our favorites to share with you. All are easy to make and all can be topped up with club soda to add some of the fizz that so many of us enjoy. They use little sugar yet pack a lot of refreshing flavor that aside being great for anyone to sip on, can do wonders to combat the taste changes that so often occur during chemo. Look and learn! This is a terrific way to make simple, refreshing sparkling drinks with a hint of fruit flavor that are perfect for a hot summer’s day. Ann uses frozen raspberries, a little fresh mint and plain club soda to make a lightly fruity drink that’s truly natural and a wonderful foil for anyone suffering from taste changes due to chemo. Look and learn! This wonderful tropical Mango Lemonade from Chef Naxielly Dominguez is simply delicious on a hot afternoon. This summer cooler packs a health punch as it slakes your thirst. Mango has a ton of vitamins, A & C in particular, along with E, K, and B6. Who knew keeping cool could be so good for you? Look and learn! Cucumber Minty water has to be one of the most refreshing drinks ever. On a hot summer day its welcome freshness will quench even the fiercest of thirsts, but for those whose taste buds have been socked by cancer treatments, this freshness can be godsend of another sort. On chemo, plain water can taste really awful to patients, grimly metallic or even oily. 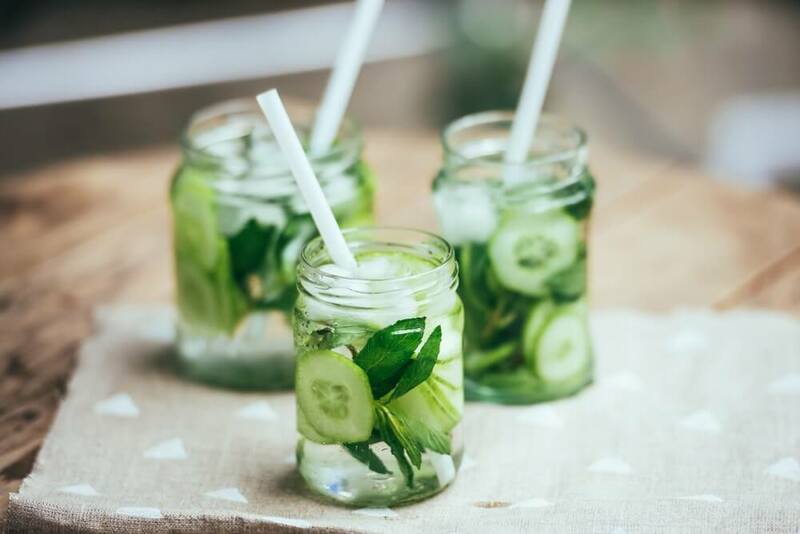 The crisp flavor of cucumber and mint takes away all that and can make water enjoyable to drink again. Look and learn! Hibiscus Tea is a great drink to have during chemo treatment. Ours combines hibiscus and ginger, a truly heavenly blend resulting in a tea that is a glorious, natural ruby red rich in vitamin C, beta-carotene and antioxidant flavonoids. Dried hibiscus flowers have a wonderful tart taste that pleasantly neutralizes any bad taste in the mouth from chemo drugs plus hibiscus has the added benefit of lowering high blood pressure. Ginger brings spiciness as it cools the body and aids the digestion. Try it poured over ice for a refreshingly different summer drink. So good!